The Salvation Army of Metro Detroit and the Royal Park Hotel in Rochester recently are joining forces to provide assistance to local families in need this holiday season. 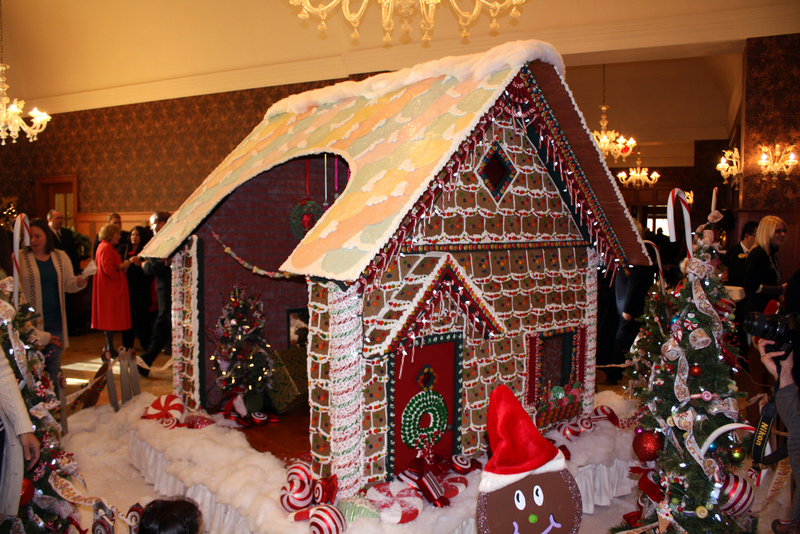 The Royal Park Hotel hosted a ribbon-cutting ceremony last week to unveil its giant gingerbread house created by the upscale hotel’s new pastry chef, Mark Slessor. 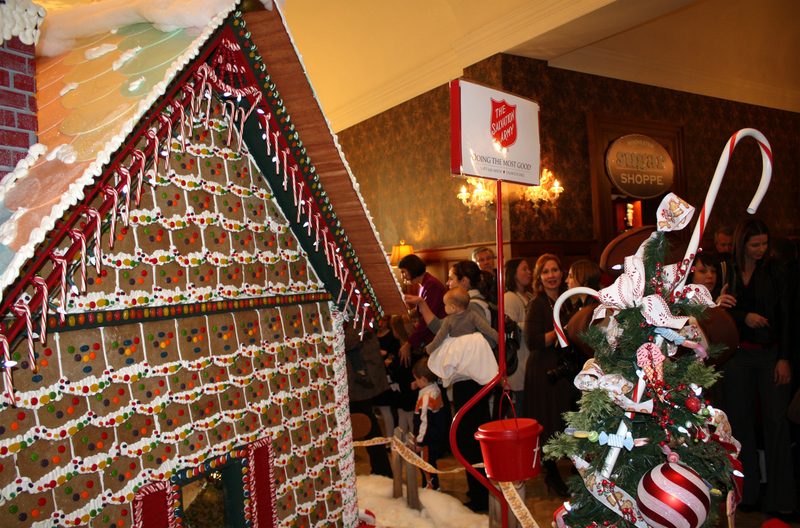 Now in its third year of partnership with The Salvation Army, the Royal Park Hotel put a new spin on the 2011 rendition of the gingerbread house — a rotating platform that will highlight the chef’s creation from all angles. This year’s holiday confection also features 100 additional pounds of holiday candy. 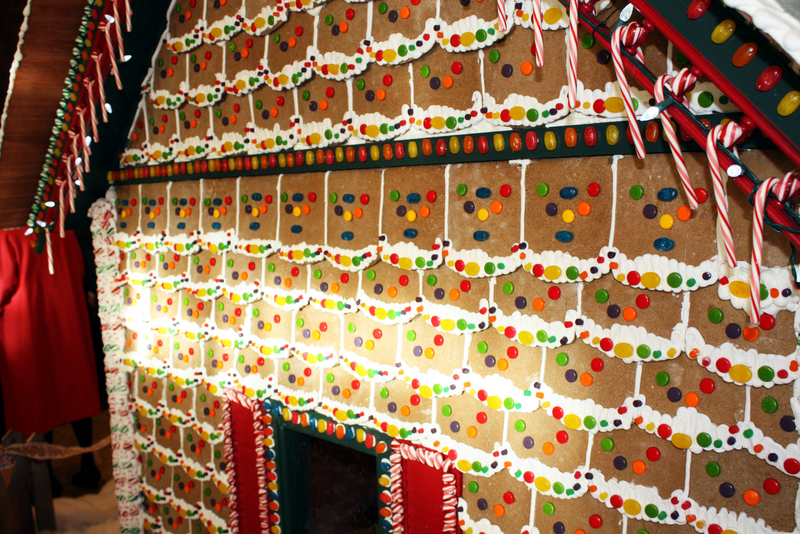 The hotel is also sponsoring up to 200 gingerbread “bricks” that were used to construct the display, which measures in at 8 feet tall and took over 280 hours to complete. Bricks may be purchased inside the hotel’s Rochester Square Shoppe for a $10 minimum donation to The Salvation Army, which is enough to provide food for one individual for an entire month. Those who sign up as sponsors will receive a special certificate recognizing their contribution. The famous Red Kettles will also be stationed throughout the hotel and proceeds from select desserts purchased at both The Brookshire restaurant and Commons Lounge will be donated to The Salvation Army. Additionally, the staff at the hotel is hosting a collection drive for children’s coats, hats, gloves and mittens. 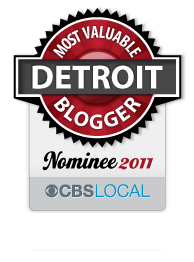 This entry was posted in Detroit and tagged charity, detroit, Michigan, rochester, the royal park hotel, the salvation army. Bookmark the permalink.